At Google I/O earlier this week, a big announcement, or at least a big announcement for those of us still not comfortable talking to Google Assistant, is that a typing option was coming – and it’s now showing up. 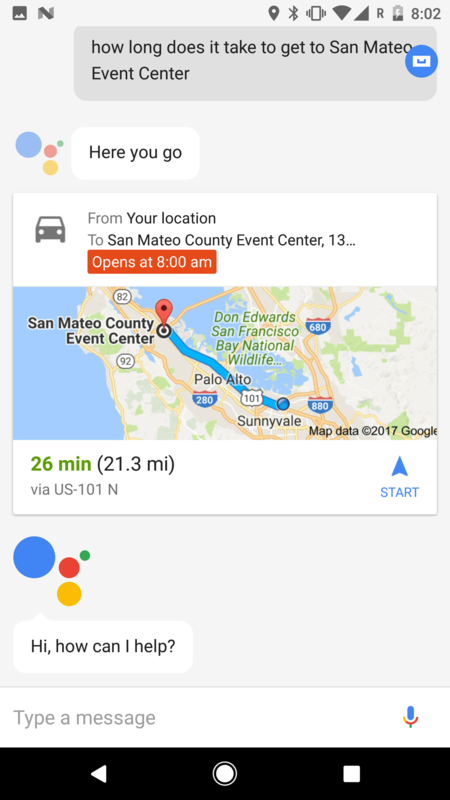 Saying ‘Ok Google’ and issuing a command or query in a busy public place isn’t always ideal both from a privacy and unwanted ambient noise standpoint, so having the option to communicate with Google Assistant is a welcome one. The keyboard is showing up now for, well, everyone who has assistant on their phones. To activate it, load Assistant (long press Home button) and look for the keyboard icon down in the bottom left corner. Tap that icon and start typing. As a bonus for anyone who has used Assistant long term, you’ll note that previous Assistant queries are still present. The initial presentation window doesn’t show it, but tap on the Assistant window and it expands allowing you to scroll up. From here, I can see my past queries on the weather around the Bay Area Maker Faire, how long it will take to get there from the AirBNB I`m staying in and whatever inane inquiries I’ve issued in the past – handy for quick view of information. If you haven’t yet gotten Assistant on your device running Marshmallow or above, head over and check out the how-to guide on forcing it – we’re technically not supposed to have it here with English (AU), but if it works why fight it?